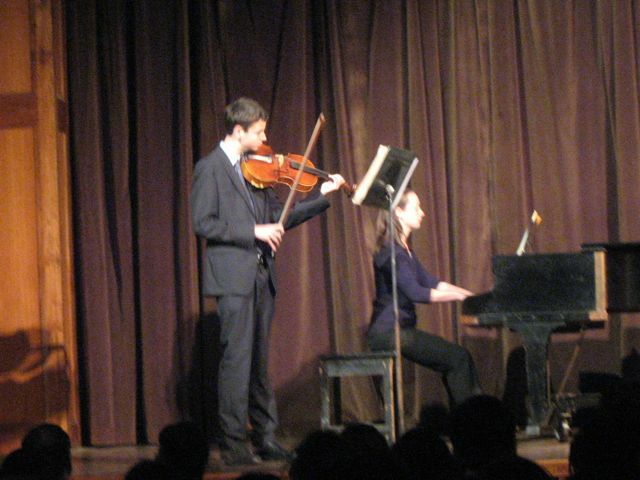 On Friday evening we were treated to a recital of advanced music students. Woodstock offers private tuition in most instruments and has bands, orchestras and choirs. 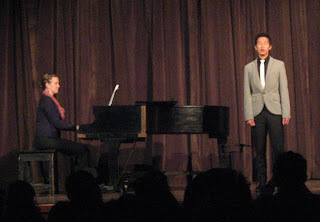 This recital was interesting – it had a wide range of performers who hailed from many countries and performed on a wide variety of instruments. The students came from India, U.S., Korea, Nepal, and Thailand. Instruments included piano, a string quartet, clarinet, Indian guitar and santoor (similar to a hammered dulcimer), French horn, saxophone, violina, viola, cello, xylophone, flute, and vocal solos. Quite an eclectic mix! It was quite dark in the hall so my pictures didn’t turn out very well. 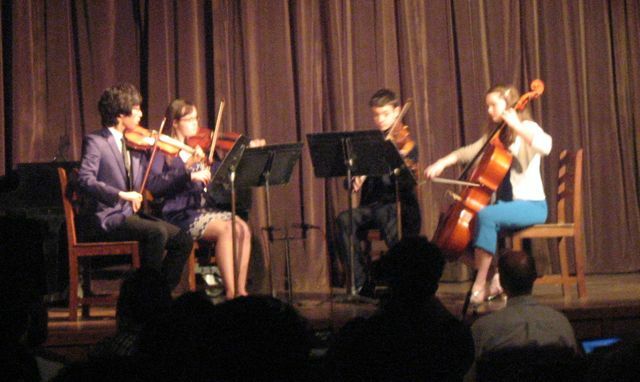 But here are a few of the performers – the string quartet, a baritone soloist, and a viola player. 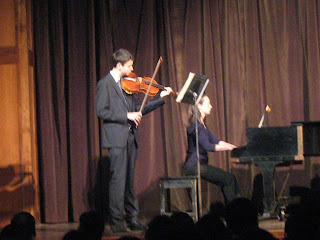 The viola player performed Schubert’s Arpeggione, a standard of the repertoire. I had a recording of our daughter Anjali performing it, and Dan was able to provide a copy for him to study from. Our daughter, Maren Tims Magill is playing second violin in the quartet pictured in your blog. She came with the SAGE program for her senior year. In 1979 I was a St. Olaf student teacher working with Dan, you and Ms. Golden. I would love to get in touch.